Are we about to lose our 1p and 2p copper coins? Maybe says the Bank of England. Definitely not says Downing Street. Whatever happens after the politicians have finished pontificating, we can assure you that the beloved ‘copper’, the pre-decimal penny, one twelfth of a shilling until 1971, will always be in circulation at Didcot Railway Centre. The platform ticket machine in the Museum and Archive will deliver on deposit of 1d, completely mechanically and without electronic intervention, a souvenir of the days when you needed a small piece of pasteboard to go on the platform to say farewell to a dear relative, or do a bit of trainspotting. 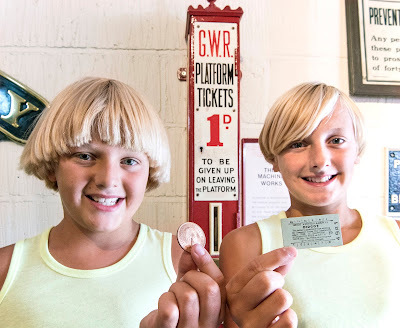 The photograph shows brothers Henry, holding a 1965 penny, and Oliver with the ticket received in exchange for it. The old pennies are readily available from the staff in the Museum, in exchange for a 20p piece, a rather less significant coin than the real penny, you will agree. The penny platform ticket was valid for one hour, and prohibited the ticketholder from entering trains. To ensure people didn’t overstay their welcome the ticket has numerals from 1 to 12 printed around the edge, so that the ticket collector could clip the time that the person went onto the platform. Thus, if the person came back several hours later there might be a suspicion that he, or she, had travelled somewhere! 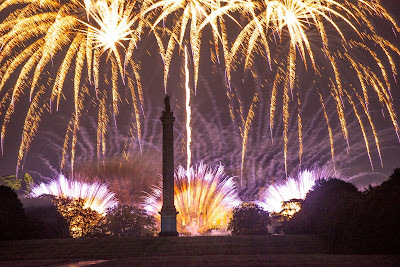 From contemporary art, music, literature and film to horse trials, Halloween fireworks, fascinating flora and fauna, there’s a dazzling array of special autumnal events and activities on offer at Blenheim Palace to keep you fully entertained as the nights draw in. Returning for its 28th year, the SsangYong Blenheim Palace Horse Trials are a must for any eventing enthusiast. 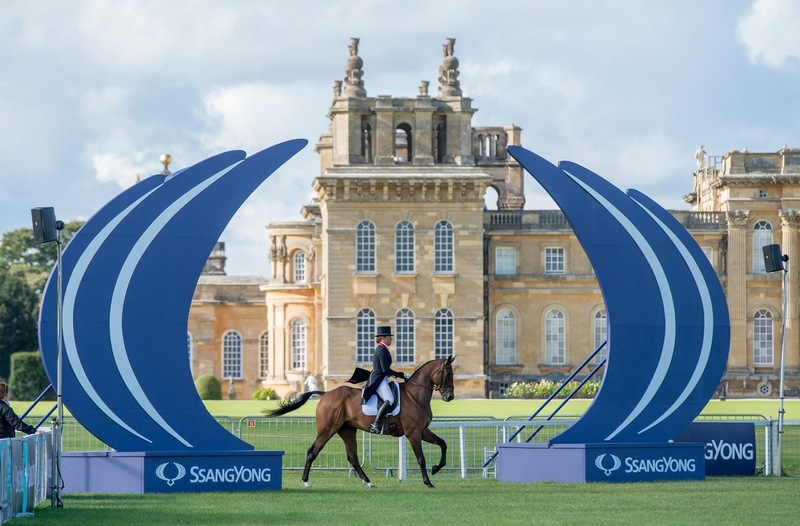 The competition is now firmly established in the eventing calendar, attracting the World's best riders and thousands of spectators who come each year to watch the five-day event. The first two days of the event will consist of Dressage competitions, with the weekend hosting Cross Country and Show Jumping. There can’t be a sporting event with a more spectacular setting with the palace itself forming the backdrop to all the action for a great day out with family and friends! There is much to do on all days in addition to the showcase eventing classes, such as complimentary displays and demonstrations, enhanced children’s activities and of course a plethora of shops, food outlets, bars and entertainment. Blenheim Art Foundation is delighted to present Yves Klein at Blenheim Palace, a solo exhibition by the visionary French artist. Featuring over 50 artworks, this will be the most comprehensive exhibition of Yves Klein in the UK to date. Visitors will be able to explore Klein’s wide-ranging practice, including painting, sculpture and large-scale installation. One of the most influential artists of his generation, his pioneering artistic experiments anticipated and inspired movements in conceptual art, minimalism and performance art. Klein is best known for the development of his own vivid ultramarine pigment, International Klein Blue (IKB), which became a symbolic part of his practice, a key to reaching the ‘infinite’ and ‘sublime’ through pure colour. New for 2018, an exciting, spooky and spectacular Halloween Fireworks Display will light up the Palace. In addition to the pyrotechnics illuminating the Great Court and frightful light projections, the eerie evening will include plenty of thrills and chills with lots of terribly exciting paranormal activities. Watch a witch take to the sky on a broomstick as she ‘flies’ across a trapeze, discover a levitating gargoyle human statue lurking amongst the crowd and be wowed by terribly tall Halloween Stilt Walkers featuring skeletons, zombies and even the Grim Reaper himself! Gliding ghosts, weeping angels and scary skeletons will move mysteriously around the Courtyard. Indulge in a wickedly delicious food from hot-dogs and waffles to seasonal treats. This year Blenheim Palace is pleased to be supporting Oxfam during this event and will be donating £2 per ticket and all the proceeds from the parking to Oxfam’s vital work fighting poverty around the world. 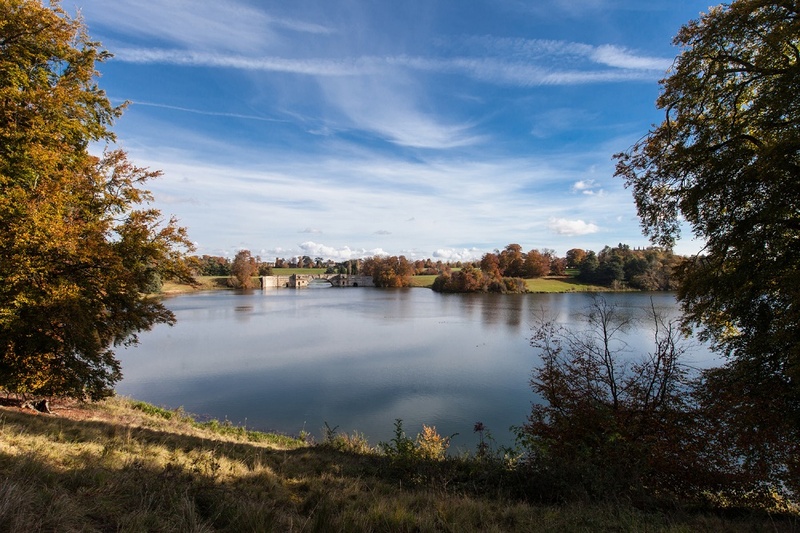 Discover the wonderful wildlife of Blenheim Palace as you enjoy one of the many Parkland walks on offer. With seasonal flora and fauna including a cornucopia of colours from the surrounding Ancient Oak trees and wildlife including resident Greylag Geese roaming around the UNESCO World Heritage Site there is plenty for all the family to spot. From ramblers to toddlers make sure to explore the vivid, russet coloured estate in full autumnal splendour. The electric vehicle specialist, Octopus Electric Vehicles, is delighted to launch the Windsor Electric Vehicle Festival at locations across Windsor starting Saturday at King Edward Court in front of Waitrose, and then at Windsor Racecourse on 25th August, and followed by The Oakley Court Hotel on 1st September. The series of events is specially designed to help Berkshire locals to learn about, experience and celebrate electric vehicles across three exciting days.The electric vehicle specialist, Octopus Electric Vehicles, is hosting the Windsor Electric Vehicle Festival at locations across Windsor. This series of events is specially designed to help Berkshire locals to learn about, experience and celebrate electric vehicles across three exciting days. For the first time, Octopus EV brings together a range of the world’s best EVs, a team of impartial experts to help consumers choose the right vehicle (and get a great price), 100% renewable electricity for the selected electric car and home, smart charger that saves money when charging, and a free VIP support helpline for as long as they remain a customer. Berkshire locals will have the chance to experience everything to do with electric vehicles from test driving the cars themselves, to learning about charging, and about Octopus Energy Go - the very first time of use tariff designed specifically for EV owners. Brand new research conducted by Queen Mary University of London shows air pollution is linked to those changes in the structure of the heart seen in early stages of heart failure. The finding could help explain the increased number of deaths seen in areas with high levels of dirty air. Such premature deaths can be linked to a number of causes including cancer, asthma, stroke and heart disease, diabetes, obesity, and changes linked to dementia. The health problems resulting from exposure to air pollution have a high cost to people who suffer from illness and premature death, to our health services and to business. In the UK, these costs add up to more than £20 billion every year. .
Electric cars can bring more to Berkshire than just great fun and affordable driving. It is the biggest move we can make towards a sustainable future, and making an impact on the health of local residents. 'As the only company to offer the full electric vehicle package, Octopus Electric Vehicles is delighted to present the Windsor Electric Vehicle Festival taking place from 18th August - 1st September 2018. Milk Fest is in its fifth year! To celebrate the occasion this year’s Milk Fest is all about the Best of British. As ever, over the August Bank Holiday weekend Milk Fest kicks off on Friday 24 August and we’re planning a long weekend of fun all the way through to Monday 27 August. It’s been created to be a feel good feast of British fun for the whole family. 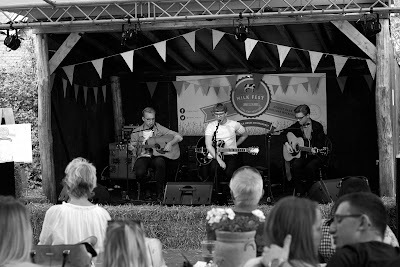 We’ve put together a jam packed schedule, with music from top local talent and fabulous food and drink from some of our wonderful suppliers. From Pimm’s slushies to Halloumi burgers, face-painting to British bubble-tastic displays, there’ll be something to put a smile on everyone’s face. To mark the occasion, we’ll also be putting our Full Fat Festival Top back on tap at a cheap and beerful £3.50/pint. A tipple or two of this bespoke Kentish bitter, crafted just for us by Old Dairy Brewery, is sure to get you in the party mood. So bring a rug, make yourself comfortable, tuck into some fine festival fodder and enjoy the tunes! For more information please visit their website or check out this video. Following on from the Holiday Inn Winchester’s recent success with their sell-out ‘Fawlty Towers Comedy Dining’ event, the 4 star hotel has created a programme of new events for their autumn season of entertainment. The season will launch with ‘Fabulous? Absolutely’ on Friday,12th October, an Absolutely Fabulous tribute that will bring all the drama and comedy of that much loved TV series into the hotel, while guests enjoy a three course meal, created by the hotel’s AA Rosette Award winning head chef and his team. The evening starts at 7pm, when the gathering guests will start to see the scenes unfold as the cast mingle and perform around them. Then at 8pm a three course meal will be served, while the performance continues. Tickets are £36 per person. 'We had a promenade theatre event at the hotel a few years ago and it was very successful and memorable, so it is great to bring a live theatrical performance back again and present it to the public in a non-theatre setting' continued Sarah Waddington. 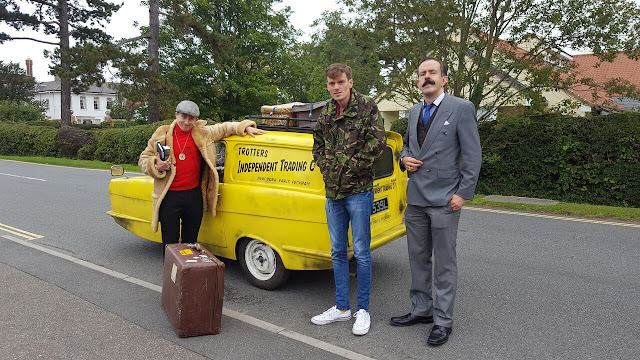 The hotel will also be presenting a Christmas themed comedy performance on Saturday 24th November, featuring characters from the hugely popular Only Fools and Horses TV series. ‘Del Boy’s Comedy Dinner Show’ aims to be a whirlwind tribute to everything Trotter and everything to do with Christmas. 'This event is perfect for pre-Christmas celebrations, office parties and groups of friends to come along to. Party games, pantos and presents will be part of the theme of the drama that will be revealed to our guests as they dine, along with the usual Del Boy Trotter chaos!' said Sarah Waddington. Tickets will be £36 including a three course meal, festive table decorations, coffee and mince pies with 7pm arrival and dinner at 8pm. Also leading up to Christmas the hotel has booked Abba’s Angels, an Abba tribute band for another evening of entertainment and fine food on Friday, 30th November from 7pm until midnight. There will be a dance floor for those who want to express their inner-Abba and the event includes a three course dinner, party novelties and the evening of entertainment. Tickets £42 per head (over 18’s only). To end the year the hotel will be ‘Partying through the Decades’ on New Year’s Eve with live music from the 60’s, 70’s and 80’s, with fancy dress of the decades optional. The event includes a pre-dinner glass of Prosecco, a three course meal, and the entertainment, with tickets at £75 per person and special packages for those wishing to stay overnight at £249 per couple including the event, overnight accommodation and breakfast, with extended check out until 1pm for those wanting a relaxing start to 2019.